Only those who have walked into the silent woods together in the predawn hours and waited motionless for white-tailed deer amid the woods in a stand or blind as the different hues of daylight unfolded truly understand. 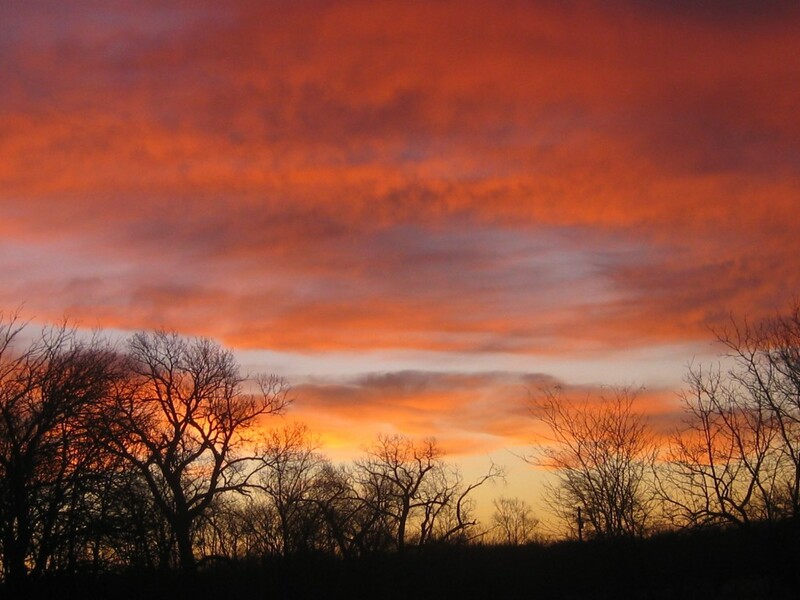 Sunrise as seen from a deer hunting tree stand at an eastern Nebraska farm during the 2016 Nebraska firearm deer hunting season. Photo by Greg Wagner/Nebraska Game and Parks Commission. Only those who have watched a canine companion intently work with a grassy field for upland game birds with family members and friends truly understand. 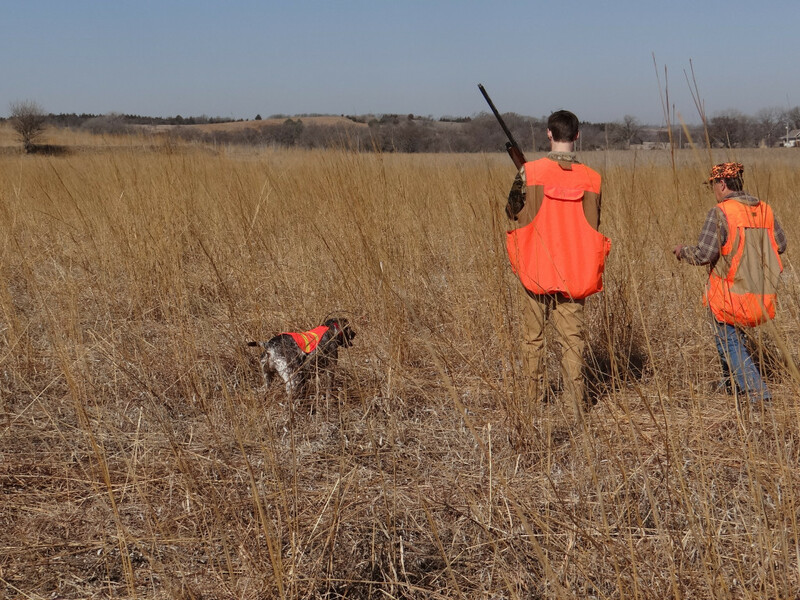 Greg Wagner’s son, Noah Wagner, and friend/hunting guide, Tom Floyd, watch as Sophie, a Braque du Bourbonnais hunting dog, goes on-point in grassland cover to an upland game bird during a 2016 Nebraska upland game bird hunt. Photo by Greg Wagner/Nebraska Game and Parks Commission. Traditions. They are a major part of us and our values. They help to shape who we are. And, when it comes to the hunting lifestyle, they are at the very core of our being, of what we are. Archeological evidence indicates that our hunting traditions as humans in groups stem all the way back to the fine flint lace points that lie mingled with the bones of mammoths killed ten-thousand years ago at the edges of the melting ice sheets. And, those hunting traditions have been always tied to the land, especially for a number of us on who descended from farming roots on the Great Plains. 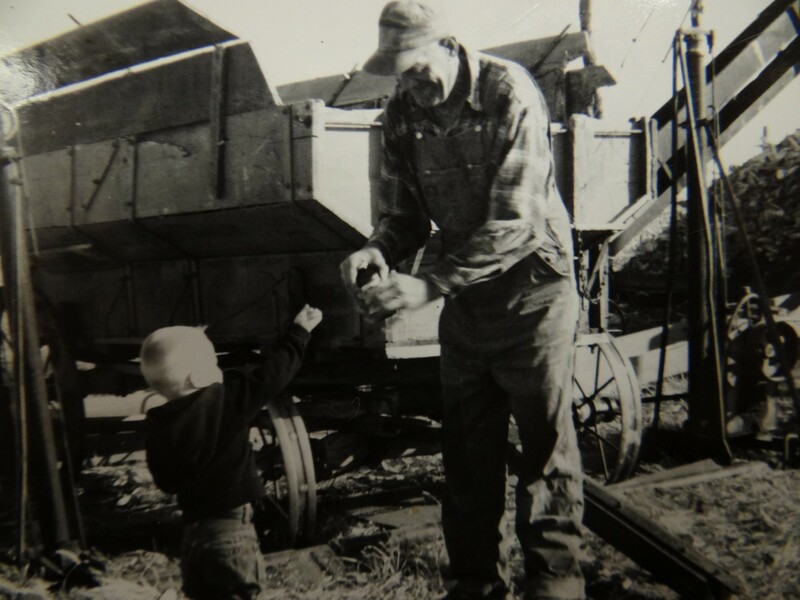 Greg Wagner, at age 2, hanging out with his grandfather during the crop harvest on the southeastern Nebraska family farm in 1964. Photo by Marge Wagner. Our hunter/grower/gatherer ancestors developed meaningful traditions to celebrate the life-giving hunt. While hunting is no longer essential for survival, many families in America, continue to have traditions that surround their yearly hunt. 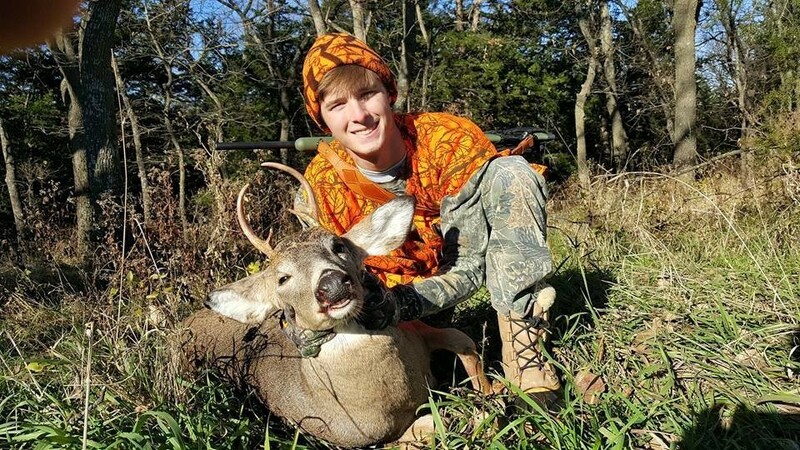 In the Wagner family, a few of our hunting traditions are tied to the opening weekend of various hunting seasons in Nebraska, most notably the firearm deer hunting season. 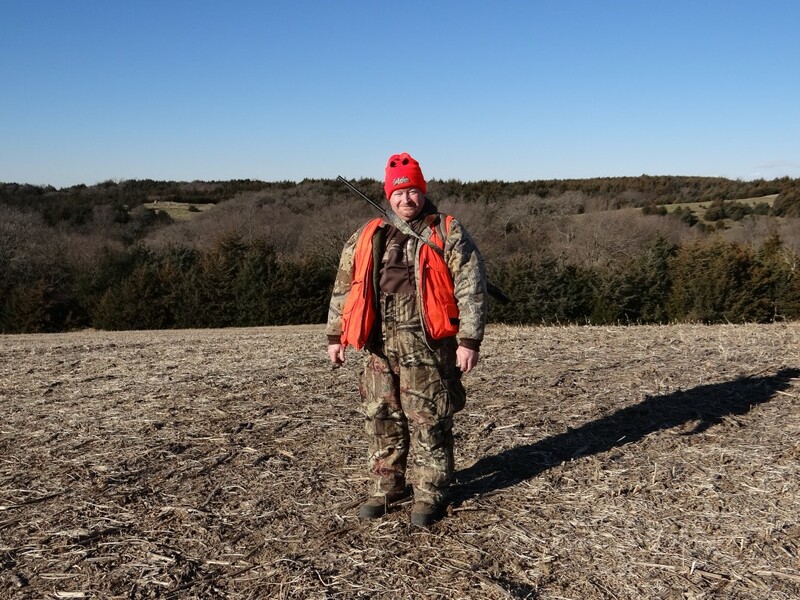 Greg Wagner’s younger brother Steve Wagner is pictured on a relative’s farm during a recent firearm deer hunting season in southeastern Nebraska. Photo by Greg Wagner/Nebraska game and Parks Commission. Greg Wagner’s cousin, Mark Hintz, stops for a quick photo on his family farm in southeastern Nebraska before heading to his blind during a recent firearm deer hunting season. Photo by Greg Wagner/Nebraska Game and Parks Commission. But, for those new to the lifestyle of hunting, you may be asking yourself: How do I, as a hunter, go about creating and maintaining a tradition of hunting? After all, traditions are not forced, right? The word tradition really isn’t about the new, it’s about the old, isn’t it? Or, is it? Tradition is defined as an inherited, established, or customary pattern of thought, action, or behavior passed down through the generations. However, that tradition had to start somewhere, at sometime didn’t it? 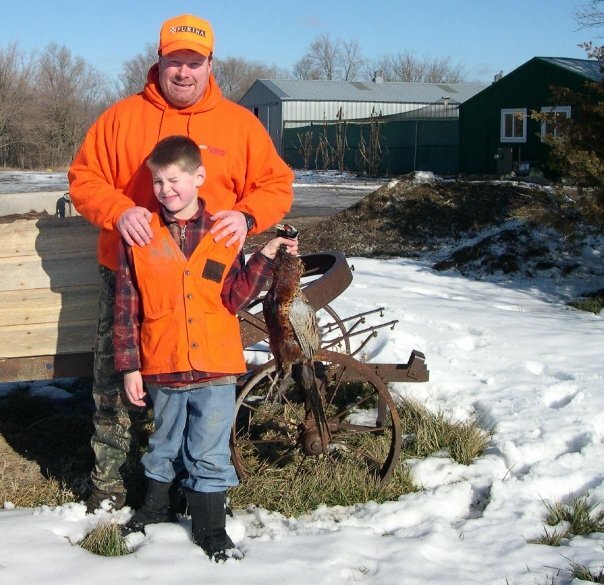 Young Noah Wagner, along with his father, Greg Wagner, shown with Noah’s first deer harvested during a Nebraska firearm deer hunting season. Photo by Marge Wagner. Noah Wagner with his white-tailed deer buck he harvested during the 2015 Nebraska firearm deer hunting season. Meg Cox, the author of The Book of New Family Traditions, defines family ritual as “any activity you purposefully establish and repeat together as a family that includes heightened attentiveness and something extra that lifts it above the ordinary ruts.” Traditions, according to Cox, when done right, lend a certain magic, spirit, and texture to our everyday lives. Traditions, and the stories they tell about one’s family, play an important role in shaping a child’s personal identity. Psychologist Marshal Duke has found that children who have an intimate knowledge of their family’s history are typically more well-adjusted and self-confident than children who don’t. There’s something about understanding your past and knowing you belong to something bigger than yourself that instills confidence. Studies indicate that if a youngster is not exposed to a tradition during his or her childhood or teenage years, they probably won’t pursue it as an adult. Those of us who passionately love to hunt, all have one thing in common. We had someone who instilled the tradition of hunting within us. We had someone who introduced, mentored and repeatedly took us into rural settings. We did not get it merely by osmosis. It took a dedicated, responsible, trustworthy adult, most likely a parent, grandparent or trusted guardian, who had the desire, made the time, and possessed the patience, knowledge, skills and know-how to keep showing us the wonders of our natural resources and where we fit in the cycle of life. Think back, hunters. Do you remember who repetitively took you out hunting? Young Noah Wagner’s first rooster pheasant he harvested in Nebraska. Photo by Andre Shousha. 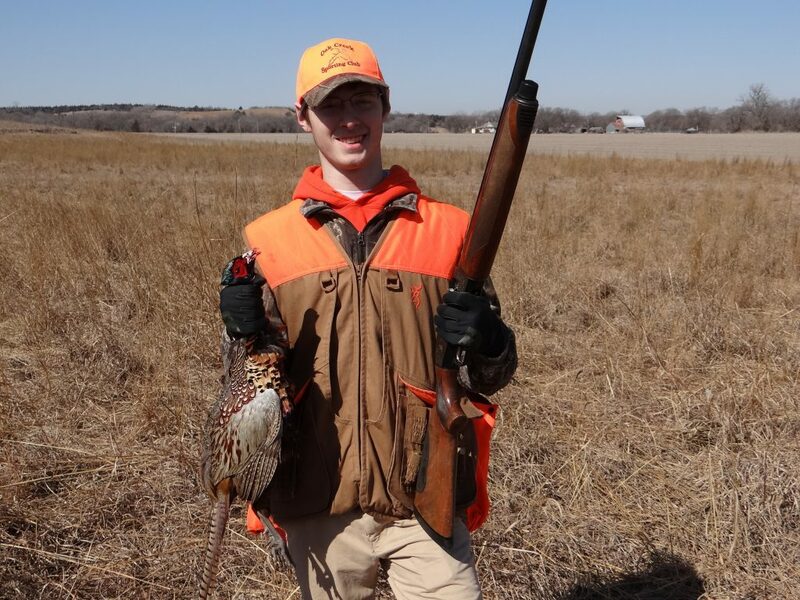 Noah Wagner is pictured proudly holding a rooster pheasant he shot during a recent Nebraska upland game bird hunt. Photo by Greg Wagner/Nebraska Game and Parks Commission. It is a unique atmosphere for youth in our great nation now. It is a fast-paced, digital, instant, primarily indoor society for them. It’s filled with instant news, rapid technological advances and distractions. It’s very competitive, too, both academically and athletically, with club sports and similar activities occupying many hours of their time, even at young ages. All of this has certainly crimped the leisure time available for young people. Truthfully, is has made it much more difficult to continue the hunting tradition, even in a family of hunters. Trust me, I know. As adult hunters, we need to be flexible with our schedules to take advantage of any annual windows of opportunity that these busy young people in our families have in order to fulfill a request, get them outside and begin a hunting tradition. Beyond the wonderful interpersonal bonding experiences, passing on the tradition of hunting to family members or friends will get more individuals actively involved in wildlife management and teach youth to have an appreciation for the life and nature around them. The traditions of the hunting avocation raise an individual to a more intense appreciation of land and the natural world, impose a profound respect for life and merge the human and the wild into a unity. If you hunt, let me ask you this: What sort of hunting tradition will you establish and maintain with the youngsters in your family? 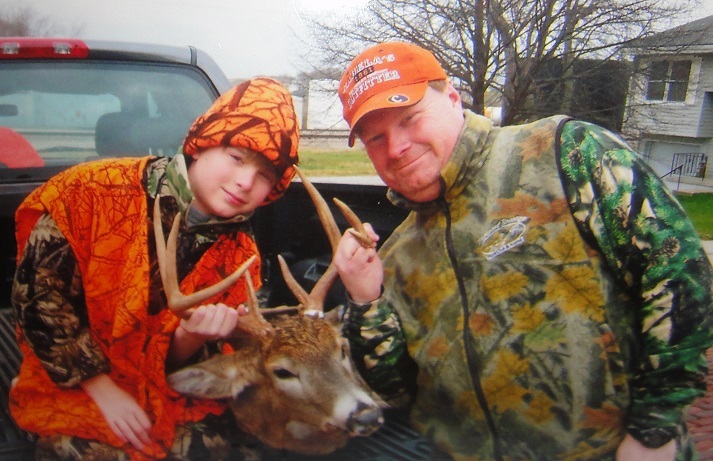 Here are some five suggestions on how to establish a new tradition of hunting in your own family network. Find a purpose and then make it very personal. Meg Cox suggests using these two P’s when crafting your family’s traditions. When considering a new tradition, first ask yourself, “What’s the purpose of it? What do I hope my children and family get out of it?” Do you want to instill a certain family value with the tradition? Perhaps family solidarity or unity is it. The answers to these questions will help ensure you develop meaningful family traditions. Capture the moments by taking photos and shooting video. Be certain to take lots of pictures and videos to document you and your family’s hunting excursions. There’s nothing quite like looking back at your family’s memories. 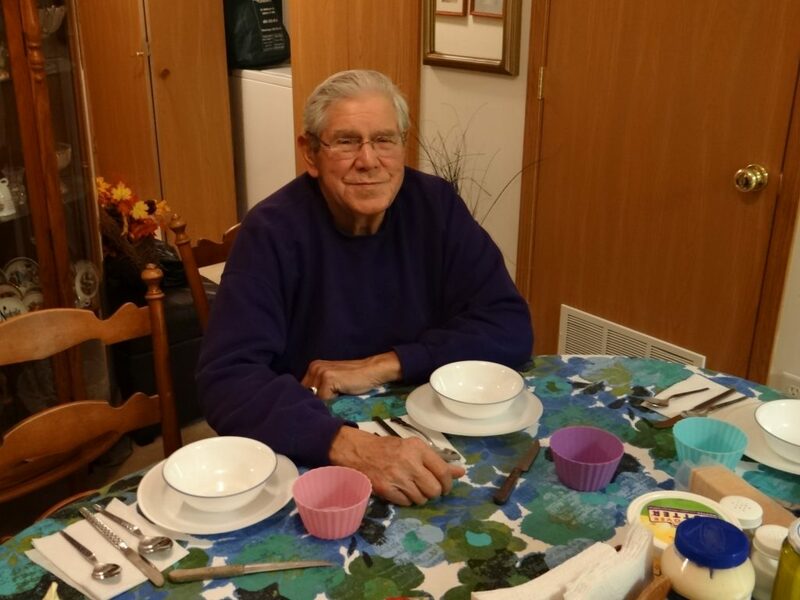 Think about how deeply meaningful it is to you if you can view old photographs of your parents, grandparents and great grandparents doing the same activity from many years prior. It allows you to reflect on what’s changed over time and what’s stayed the same. You may be surprised! Maintain a journal of hunting adventures. It is always good to keep a short journal or diary of your family hunting activities. Like the photos and video, they will allow you to recall in better detail the outcomes of any specific hunting trip and even more accurately relay comical scenarios that took place during them. Small, but important details can easily disappear or get clouded from our memories within a short period of time. I will admit that. Even after just one year, you would be amazed at what you forgot. recording the basic details of a hunt (e.g., who, what, when, where, how, why, etc.) with a pen and small notebook, or on an iPad, computer or similar device allows you to reflect on a hunting trip from the past and vividly recall priceless memories. Keep the tradition fun. Above all, you need to keep things fun in every aspect of the hunting tradition. Do not turn hunting expeditions into exhausting fitness workouts. Make every attempt to not be too critical and focus on the overall nature experience, not the end result of harvesting a game animal or bird. if your kids want to rest and take an impromptu snack break, do it, and join them! If you can let loose and all enjoy some laughter with something amusing that happens, you will be much more likely to form a lasting event that you can continue throughout your lives! Involve everyone. Any tradition typically involves or consists of including family members, friends and neighbors for a get-together of some sort surrounding a hunting season. Make sure that invitations are extended for an annual festivity you are planning each year during a particular hunting season. Maybe a potluck meal will be scheduled. Perhaps an overnight stay with relatives will be arranged. Hunting traditions start with simply inviting a wide variety of folks to participate in a function connected to a hunting season to enjoy some food, fun and friendship, whether they hunt or not. It really doesn’t take much effort to plan one of these, and all involved will quickly agree that the rendezvous was a great time and will look forward to next year’s version! 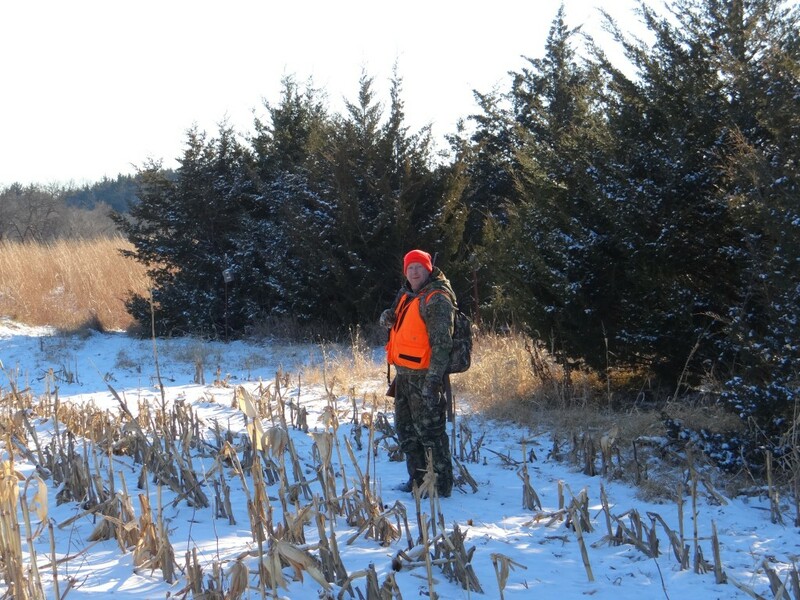 Friend and farmer, Gene Kritenbrink, awaits an after-hunt dinner during a recent Nebraska firearm deer hunting season. Photo by Greg Wagner/Nebraska Game and Parks Commission. 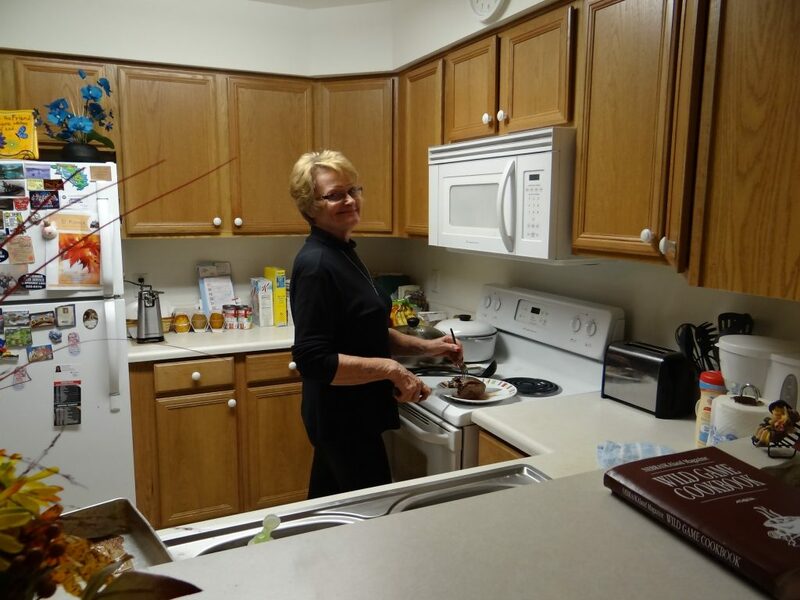 Greg Wagner’s mother, Marge Wagner, prepares an after-hunt dinner during a recent Nebraska firearm deer hunting season featuring delicious venison heart. Photo by Greg Wagner/Nebraska Game and Parks Commission. Hunting is a fundamental part of our history, character, value system and wildlife management process. The preservation of its traditions for future generations to relish is up to you, the hunter! 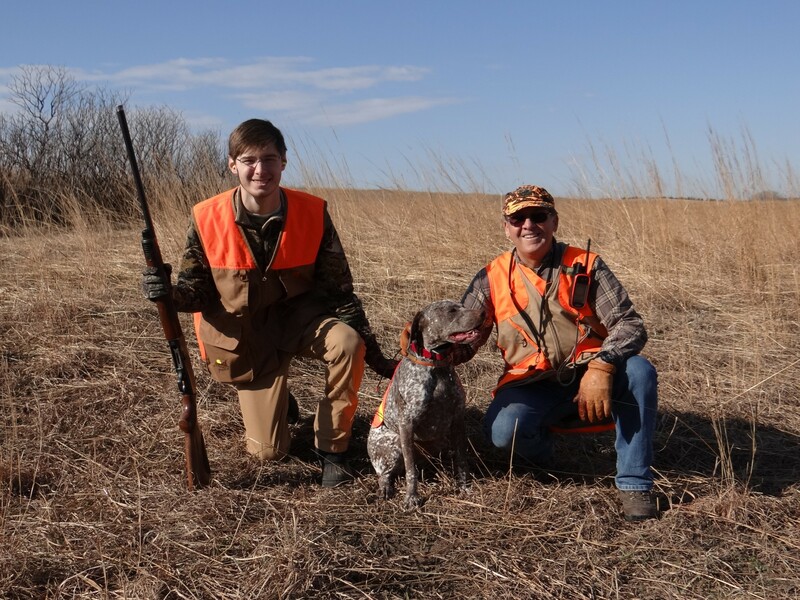 From Left to Right, Noah Wagner, Sophie (a Braque du Bourbonnais hunting dog) and friend/hunting guide, Tom Floyd on a Nebraska upland game bird hunt. Photo by Greg Wagner.